Belle sleeves are one of the hottest trends for fall. I found a great selection of top and dresses under $40. I love the color on number 2. These belle sleeved fashions look very pretty. I love the look of all four of them and the mini-skirt shown styled with number 3 as well. 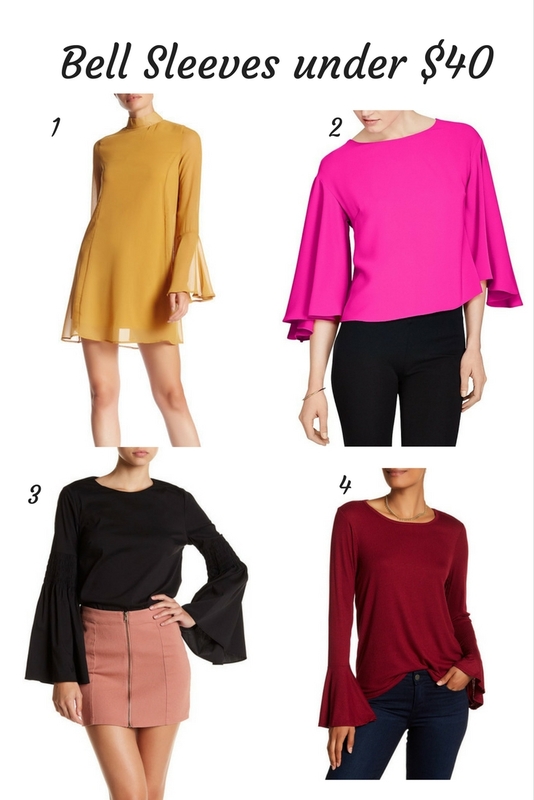 I agree with you that the fuchsia colour of the belle sleeve crepe top (number 2) is gorgeous!! !